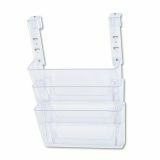 deflecto DocuPocket Three-Pocket File Set for Partition Walls, Letter, 13 x 7 x 4, Clear - Partition wall pocket system has three pockets that lock together with ST pins. 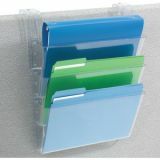 Adjustable brackets hang system on standard partitions. 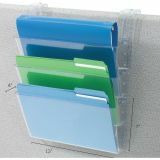 Holds letter-size files and documents. 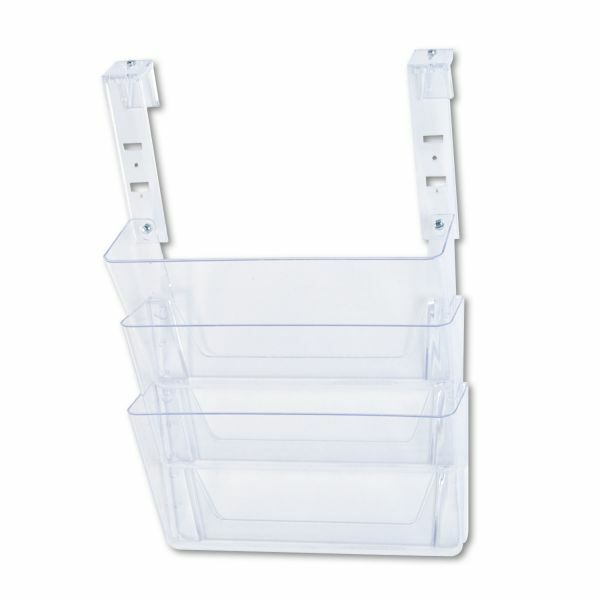 Wall pocket set includes tape and screws for wall mounting.